Can’t get enough of street food-style fried quail eggs? You’ll love quail eggs even more with these tasty recipes. •	Preparation: First, slice the bread sticks into bite-size pieces. 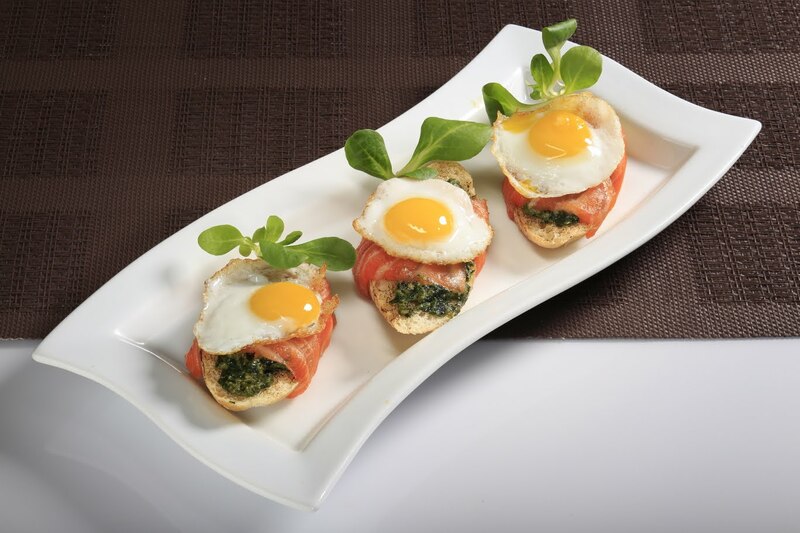 Then, fry the quail eggs in a pan while toasting the bread and cherry tomatoes. After toasting, wrap each bread with a panetta slice, then on a plate, place the cherry tomatoes, goat cheese, and add balsamic glaze. Finally, place the bruschettas, eggs, olive oil, cheese, and microherbs. •	Preparation: Boil the quail eggs for about 2 ½ minutes, drain, then run the eggs under cold water before removing the shells. Preheat oven to about 200 degrees C while preparing the sausages by taking out the meat and mixing it with sage and parsley. 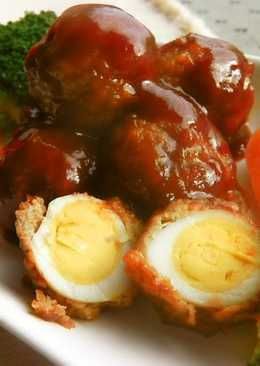 Create tiny sausage balls and place one quail egg in each, enclosing the eggs. Roll the balls in flour then dip in the beaten eggs before rolling each on the seeds and nuts. Bake for 20 minutes. •	Preparation: Boil chicken broth and garlic in a pot while cutting the white asparagus (except the top part) and the upper half of the mushrooms. Whisk the egg whites and prepare the cornstarch solution in separate bowls each. Add the crab meat when the broth boils, then boiled quail eggs, mushroom, and asparagus. Season with sugar and stir in the cornstarch and the egg whites. •	Preparation: Boil the quail eggs while sautéing onion, ginger and garlic paste, and curry leaves in a separate pan for 10 minutes. Next, add chili, turmeric, coriander, fennel seed powder, tomato, and salt. Toss the quail eggs in the gravy and add water. Simmer for 5 minutes before serving. •	Preparation: Knead the pork, mayonnaise, panko, salt and pepper, and onions. 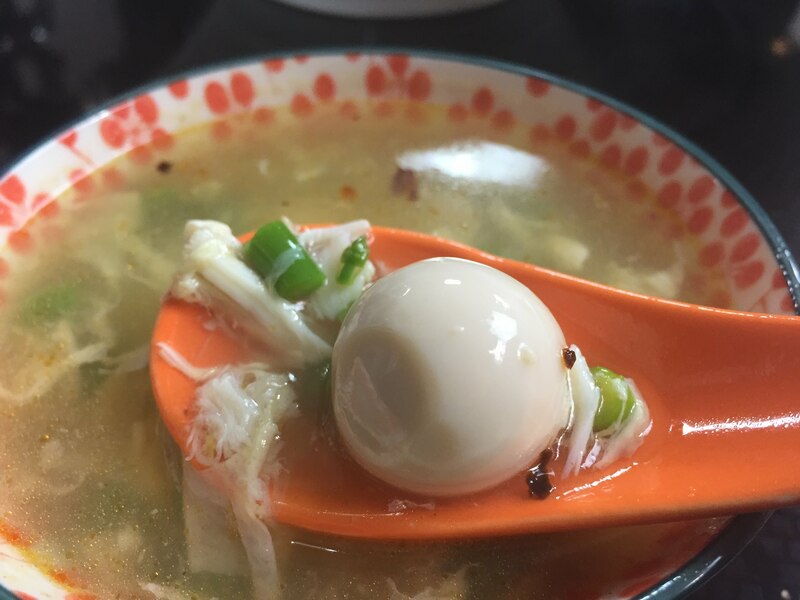 Coat the boiled quail eggs with the kneaded meat and katakuriko. In a frying pan, warm the ketchup, sugar, vinegar, and Worcestershire sauce over low heat while frying the meatballs at medium heat on a separate pan. When the sauce turns golden brown, add the meatballs.